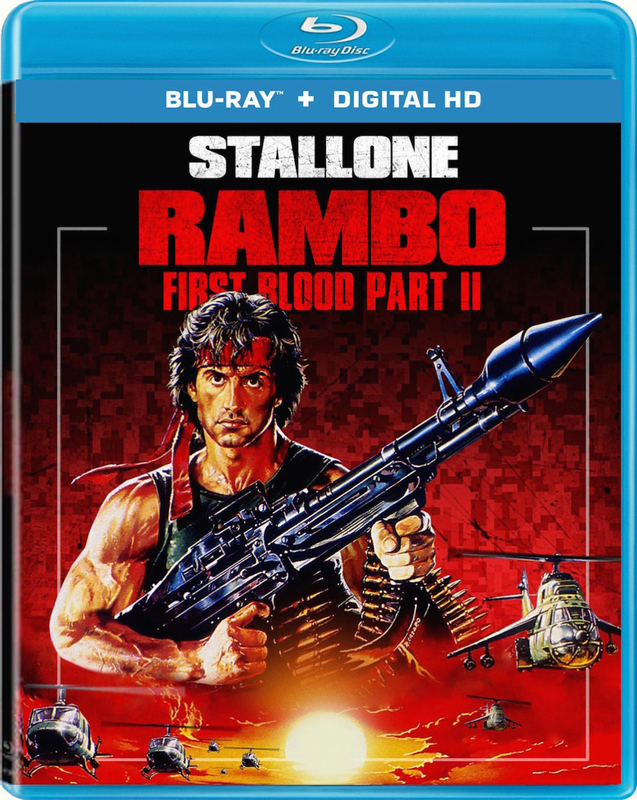 How to achieve the Rambo Sequel? However so did another player! 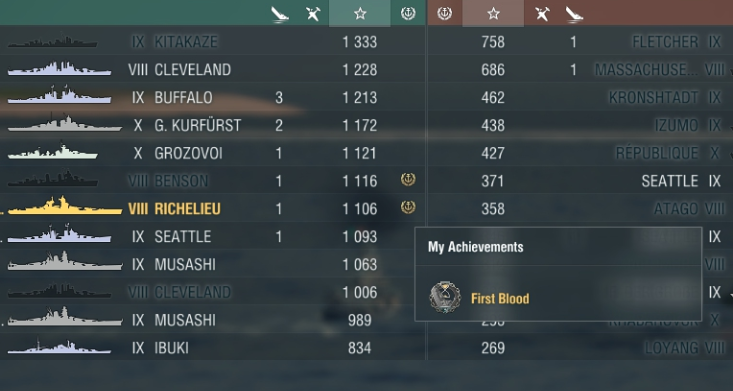 I can only assume you killed your ships at exactly the same time. Failing that, I have no idea. Maybe we both set the same ship on fire and it was the first to die? I've seen this before. When I saw it, the two First Bloods were two different ships that died in the same second. 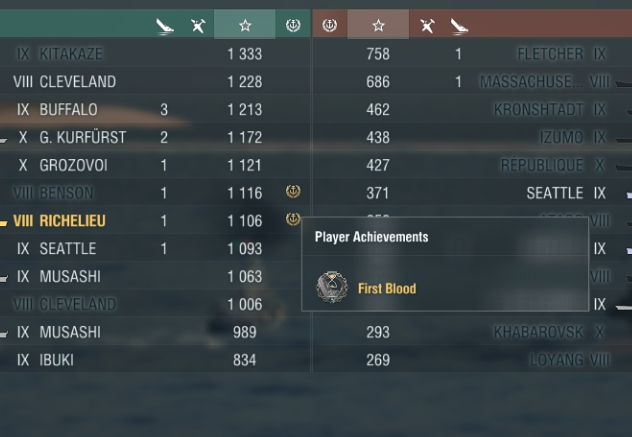 One was a BB-->CA deletion, and the other was a DD eating a spread of torps in smoke.